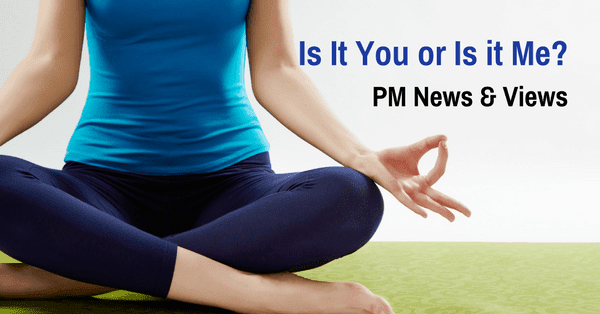 PM News and Views: Is It You or Is it Me? This week, I was feeling out of sorts with no evident reason why - until Thursday morning. That's when I got back into my meditation routine. My Muse device told me I hadn't meditated in four days! When I started meditating daily six years ago, I saw remarkable changes in my life. Good things started coming to me out of the blue. Things which used to drive me bananas didn't phase me anymore. I had changed and life around me changed. Is meditating the answer to world peace? Maybe. I do know it helps with my corner of the world.